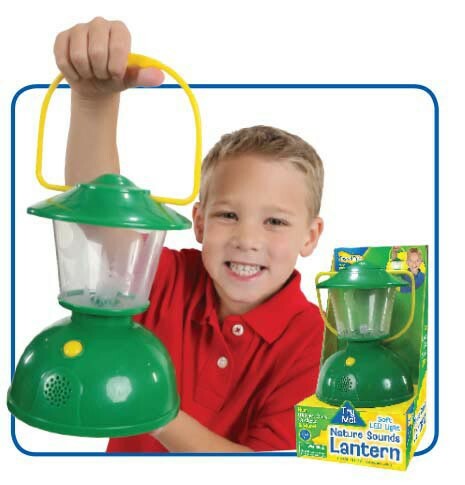 The realistically styled Nature Sounds Lantern brings imagination and adventure to any indoor or backyard campsite and makes a perfect bedside light as well! 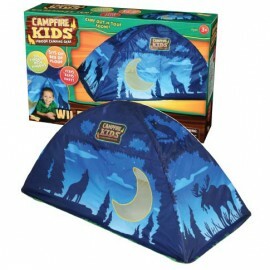 The sturdy lantern casts friendly animal shadows on the walls of your tent or bedroom and makes the night come to life with amazingly real animal sounds! Howling wolves, hooting owls and croaking frogs are some of the animals that will delight young campers with their calls.